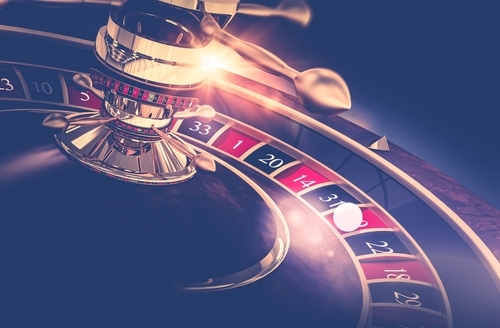 Gambling addiction is a less frequently discussed topic when it comes to addiction. However, gambling addiction actually has the highest suicide rates of any other type of addiction. Gambling addiction negatively affects the brain just like substance use. Excessive gambling also impairs relationships, your mood, and how you feel about yourself. Gambling is similar to other addictions because you can develop tolerance, withdrawals, and gambling can seriously impair all aspects of your life. Gambling affects the brain similarly to other addictions. Gambling triggers the same areas of the brain that alcohol, opiates, cocaine, and other dependencies trigger. Children of gamblers may even be predisposed to problem gambling, just as substance dependency. Gambling provides a rush of euphoria and dopamines for the gambler, making abstinence difficult. Gambling impacts the frontal lobe which is the area of the brain responsible for decision making. Gamblers can build tolerance by needing to gamble more frequently and with higher bets, in order the achieve the same results. Not gambling, once a dependency has been established, can lead to withdrawal symptoms. Gambling affects the individual and the family. Gambling has one of the highest rates of suicide of all addictions. The reason for this may be that the cost of gambling can be very high. Compulsive gambling can lead to serious economic consequences, especially as the bets increase. There have been individuals with gambling dependencies who have lost cars, homes, businesses and families. There is help and hope if you are dealing with compulsive gambling. The challenge of recovery from problem gambling is not recognizing that you are dependent on the act of gambling. If you are able to recognize that gambling has negatively affected your family, your finances, your mood, and your self-esteem. Treatment for gambling may involve medications that decrease impulsive behaviors and address the symptoms of mood and anxiety disorders. Therapy is a wonderful intervention for gambling addiction. Therapy will most likely involve cognitive behavioral therapy (CBT) to address distorted thinking patterns and work on changing behaviors by changing the way that you think. Treatment is also available, as is self help groups. Gambling Anonymous (GA) is a 12-step based support group for individuals with gambling dependency.